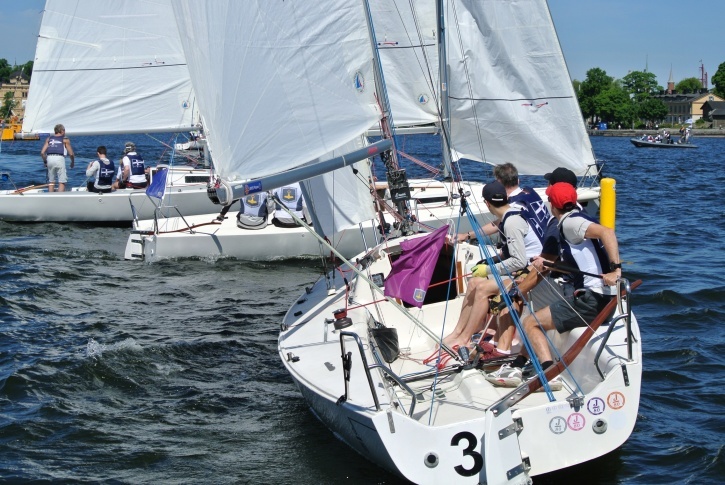 Stockholm International Team Race Regatta was sailed Friday, Saturday and Sunday, 25-27 May, in the middle of central Stockholm between Djurgården and Stadsgården. There were six teams from the leading sailing clubs in the world, eight sailors in each team divided into two boats. The format of the competition was: all teams met all the other teams teams twice in a “Round Robin series, one on Friday and one on Saturday, a total of 30 races. Then finals, petit final between 3rd and 4th in stage one and the final between 1st and 2nd. Stockholms deputy mayor Emilia Bjuggren awarded the prices at GSYS home base Nya Djurgårdsvarvet. 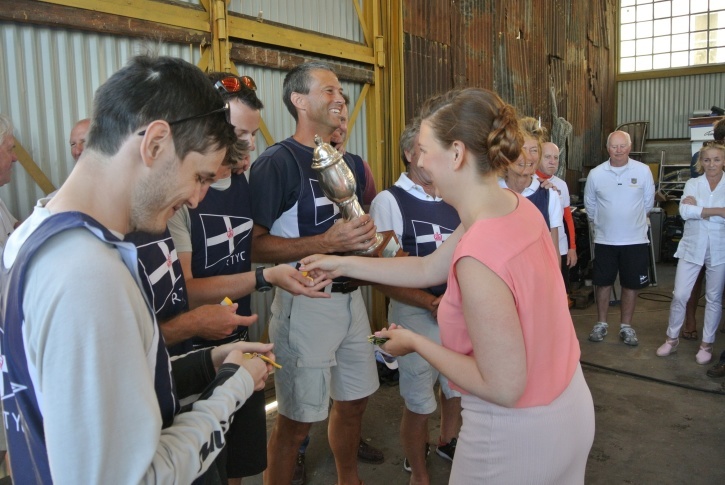 Royal Thames Yacht Club receives the first prize of the deputy mayor Emilia Bjuggren. New York Yacht Club at the award ceremony in the special regatta Musto Polo Shirt. The participants were enthusiastic about sailing in central Stockholm, with perfect conditions both on the water and on land. 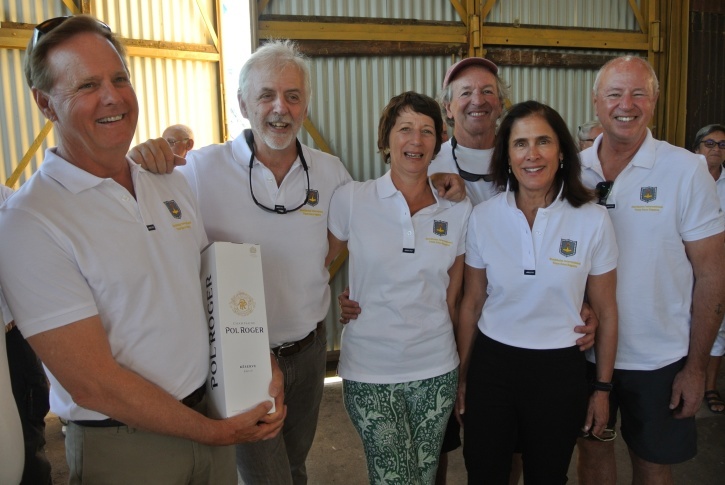 The Royal Thames Yacht Club team leader, one of the leading clubs in the world at Team Racing, thought the finals on Sunday were among the best team racing he had ever seen. Gamla Stans Yacht Club, SWE.